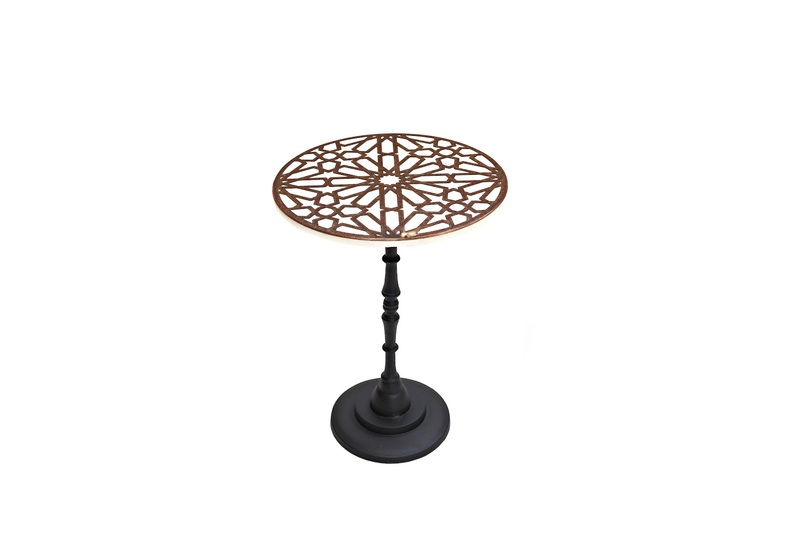 Description: Upgrade the visual appeal of your decor with this stylish and elaborately designed Table. The ravishing design of this table tray is inspired from classic style furniture pieces, and is ideal for lending a refined touch to different interiors. 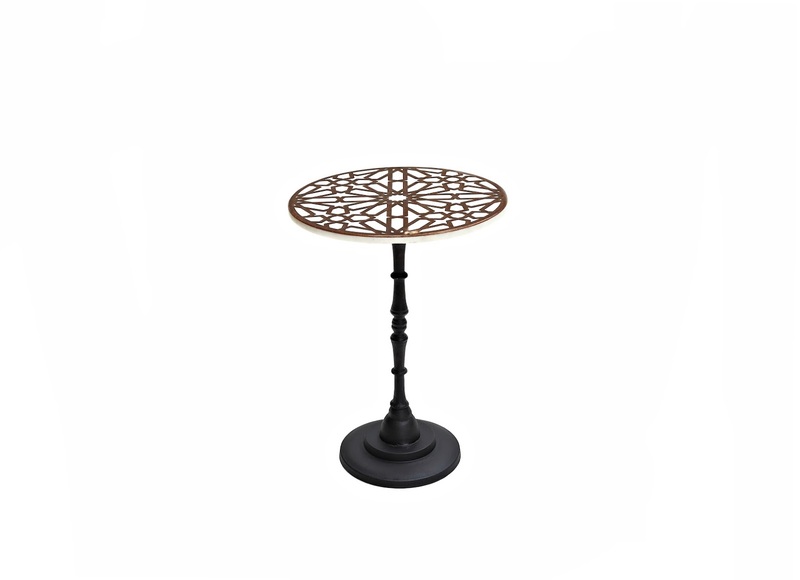 The lovely black pedestal base supports a white marble top with copper inlay. The design is a geometrically flower design, absolutely unique and one of a kind.